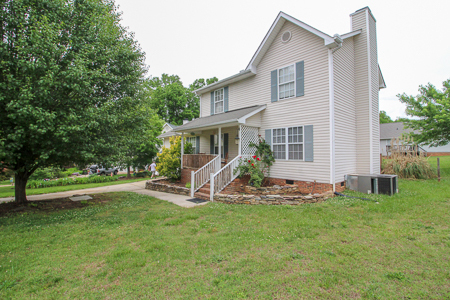 September 9, 2018 in About Raleigh, foreclosure, Wake County Homes For Sale. May 22, 2018 in Garner. July 4, 2011 in How To - Answers to Frequently Asked Questions, Luxury Homes, mortgage loans raleigh nc, Raleigh Property Values. June 16, 2011 in About Raleigh, Affordable Housing, Inflation, Low Down Payment Loans, mortgage loans raleigh nc. June 16, 2011 in Affordable Housing, Down Payment Assistance Grants, Low Down Payment Loans, mortgage loans raleigh nc, Tips for Home Buyers, USDA Rural Development Loans. June 13, 2011 in Affordable Housing, Down Payment Assistance Grants, mortgage loans raleigh nc, Tips for Home Buyers, USDA Rural Development Loans. June 13, 2011 in About Raleigh, Down Payment Assistance Grants, Tips for Home Buyers. Today’s historic low real estate prices in Raleigh North Carolina and the surrounding areas along with similarly low rates have made homeownership the best tool or hedge against inflation the average person can use to protect themselves from the imminent rising prices. If you have been waiting for the bottom, this loan officer is going on the record as saying THIS IS IT! Of course we will have no way of knowing that to be true until we look back six months from now and see that I was right, but by then it will be too late and you will have missed the best opportunity to have bought real estate in easily 30 or more years! March 16, 2011 in Cary, Economic News, Inflation, Tips for Home Buyers. Remember, housing will likely be in a much better position in the second half of the year and at that time rates could be a bit higher. Now’s the time to take advantage of the combination of low rates and affordable housing. March 14, 2011 in Economic News, Raleigh Homes For Sale, Tips for Home Buyers.